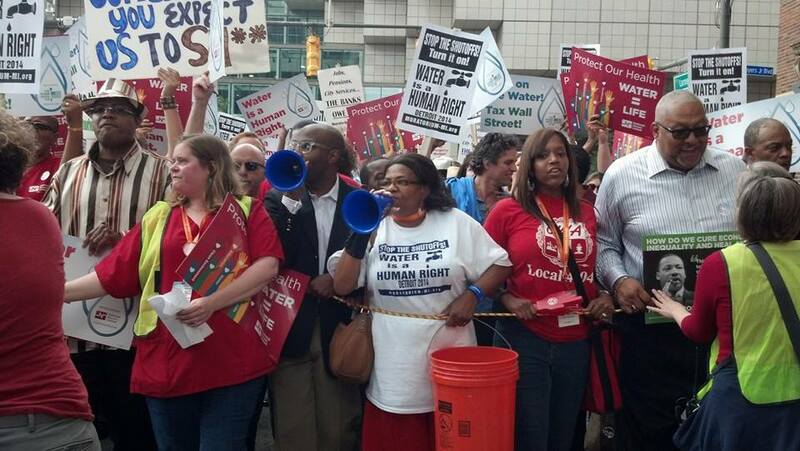 Join activists from Workers World Party, the Moratorium NOW! Coalition, MECAWI (Michigan Emergency Committee Against War & Injustice), Stop Theft of Our Pensions Committee, and Detroit FIST – Fight Imperialism, Stand Together, for the annual year’s end pot-luck dinner and celebration/commemoration of another fierce year of struggles. We’ve been thick in the battles to save our beloved City from the grips of dictatorship and bankruptcy on behalf of the banks. We’ve opposed massive pension cuts and water shutoffs. We’ve stood up for Gaza, Syria, the anti-fascists in Ukraine, and all those under attack from U.S. imperialism. We’re standing in firm solidarity with Rasmea Odeh, a Palestinian activist from Chicago, and Rev. Edward Pinkney of Benton Harbor, both recently convicted on frame-up charges. We’ve marched with the hundreds of thousands across the country denouncing the racist police killings of Michael Ferguson, Eric Garner, and so many others. And many, many other struggles. So please come and relax and enjoy the friendship and camaraderie of fellow activists as we break bread together and celebrate another year of anti-capitalist struggle. Please bring a dish or beverage to share. Call Lula 313-587-7845 for dish suggestions or to see if anyone else may be preparing the same dish as you are. In any case, please let Lula know what you are bringing so that we will know what food groups my be missing. Detroit March Against Racism & Capitalism!